This mug is the perfect gift for coffee lovers. A simple bowl of the famous symbol that social networks have become popular. A thumbs up indicates something we like. "I like coffee", says the decoration of this cup will be our constant companion at breakfast or the long morning at the office. And is that social networks, a while now, have been incorporated into our daily lives. Most people have one or more profiles on the most popular. One is, of course, Facebook. Although not the most intuitive and privacy systems remain upgradeable, network Zuckerberg has crept into the lives of people around the world. A very useful tool to keep in touch with our friends or colleagues around the world. The symbolism of social networks also flooded aesthetics. Whether in fashion, as in supplements or everyday utensils include references to some of the most popular networks. 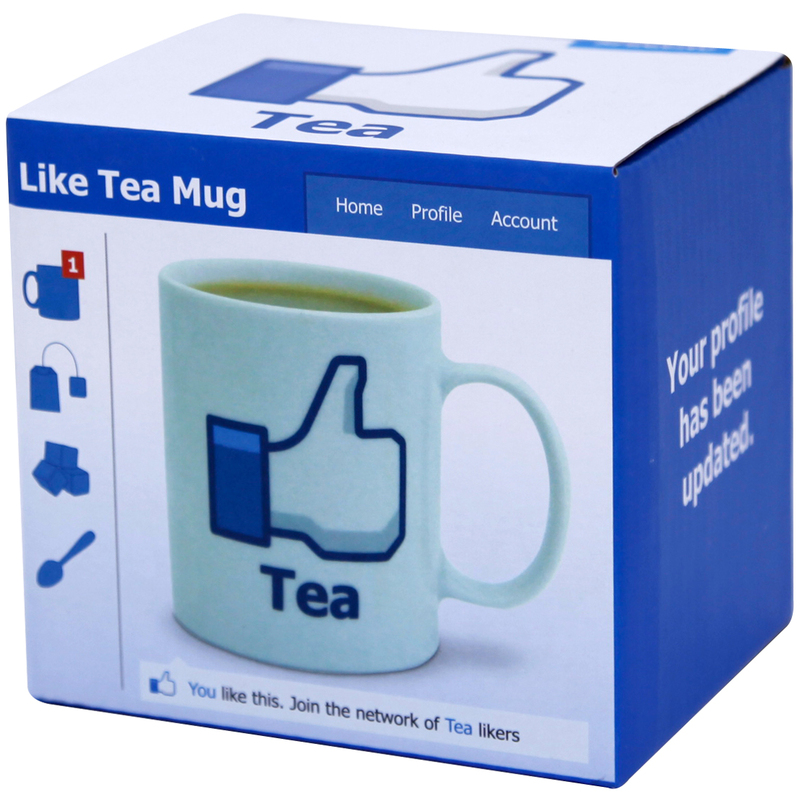 If you have an office mate who spends the day with open Facebook profile, give her this mug and take your coffee in a container as "social". And if you do not want anyone to enjoy it before you, cómpratela and stroll through the office with cup more optimistic. - Not suitable for microwave and dishwasher. - Size: 8 x 10 cm.